Great Commercial acreage 2.38 acres, with 164 ft frontage to Fork Ave. 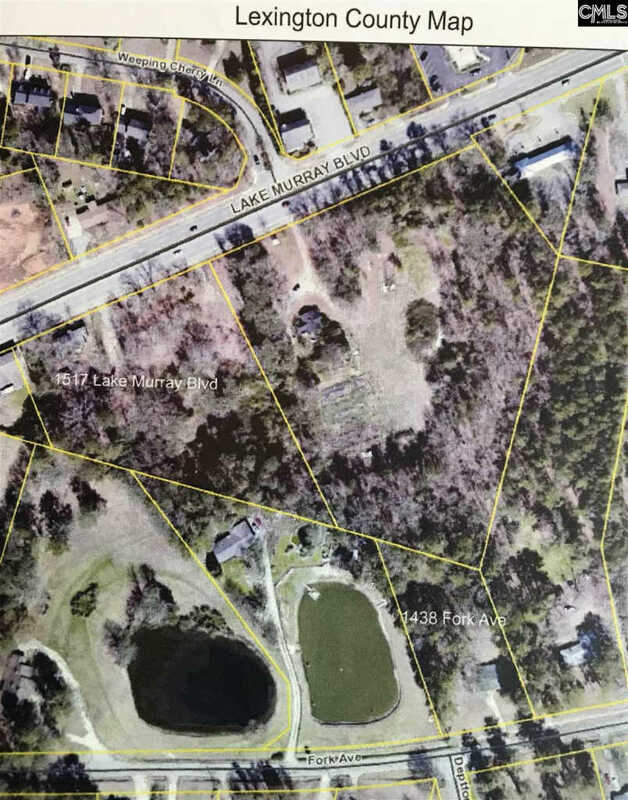 Potential adjoining parcel for sale that opens onto Lake Murray Blvd with over 800ft road access, providing over 16 acres of developable land. This is a premier location in the heart of Irmo. Property to right of this parcel is now being developed as multi-apartment complex. Home on property conveys with land and is currently occupied. Owners request all information to be addressed to listing agents.